Being a pioneer in manufacturing of Centrifugal Monoblocks and End Suction pumps, "PEW" pumps have now expands its pump business by introducing Horizontal multistage centrifugal pumps. By introducing these type of pumps,"PEW"now not only deals in Domestic Sector but have taken a step head ahead by starting its business in Industrial Sector. 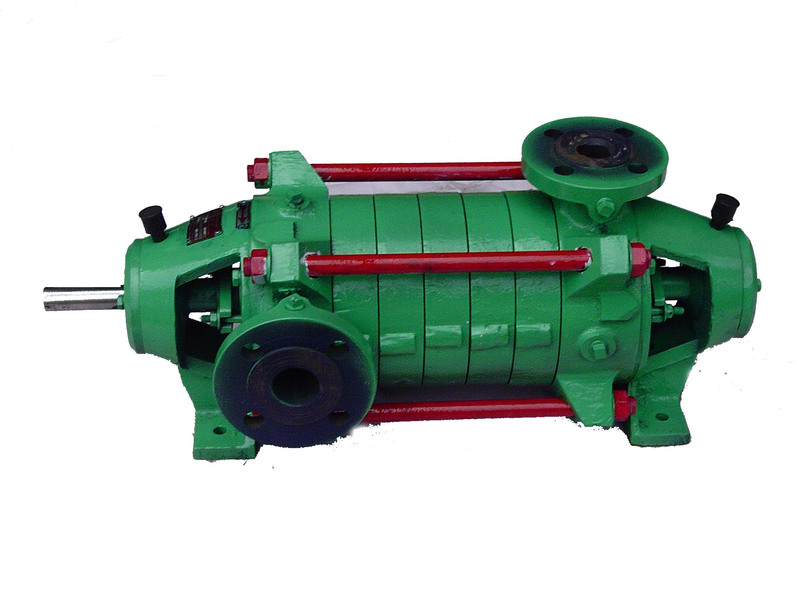 The USP of these pumps are its capacity to deliver liquid at very high pressures. Vertical suction intermediate and discharge casings are clamped together by external tie bolt and sealed with gaskets or 'O' rings as required by the design, temperature of the pumped liquid and the construction of the pump. Grease lubricated Anti-friction Bearings, designed to meet the application requirements are mounted on either side. Pump uses soft graphite lubricated asbestos packing. The shaft is fitted with renewable shaft sleeve in the region of the stuffing box, which protects it from wear due to packing. Water-jacketed and special design of stuffing boxes with mechanical seals are available. The discharge port is top vertical. Suction port is horizontal located on right or left hand side of central position when viewed from driving end. The flanges are round and corresponding to International standards. The direction of rotation is clockwise when viewed from the driving end.